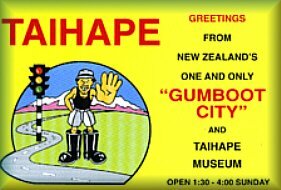 This Gumboot Town in the Centre of the North Island? What's the matter with the young ones today? water skiing, netball, badmington, bush walking etc, etc. What does it matter if one lands in your laps? You could never get them now to ever budge.